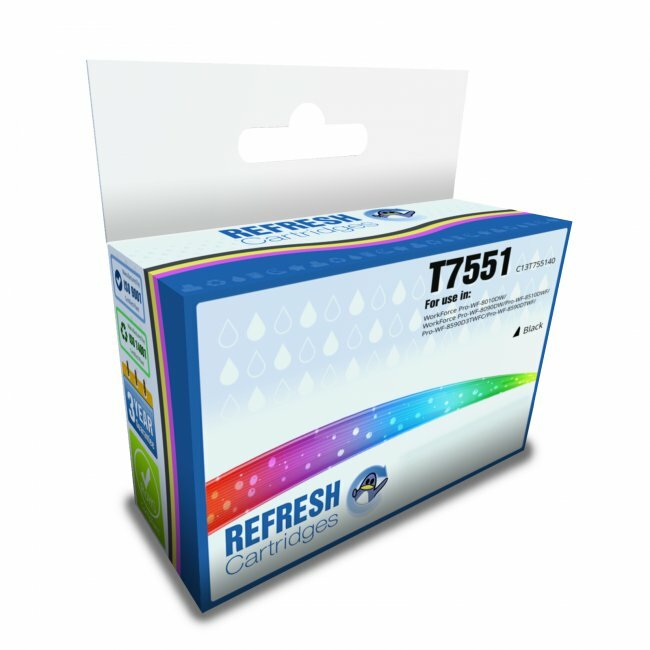 The original high capacity T7551 offers users of the Epson WorkForce Pro WF-8590DWF (and all other compatible printers) a lower cost per page and our compatible alternative increases this gap noticeably. 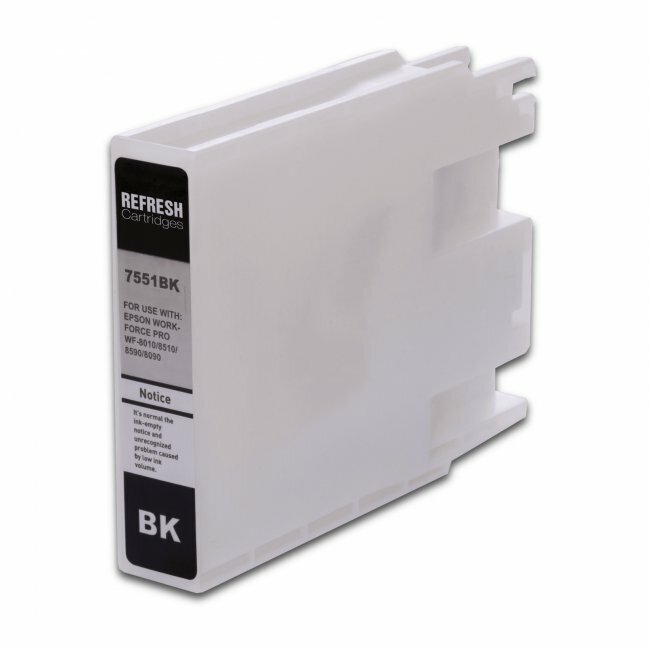 Our manufacturers have worked hard to create a compatible version of the Epson C13T755140 that maintains quality and does not affect the page yield either. 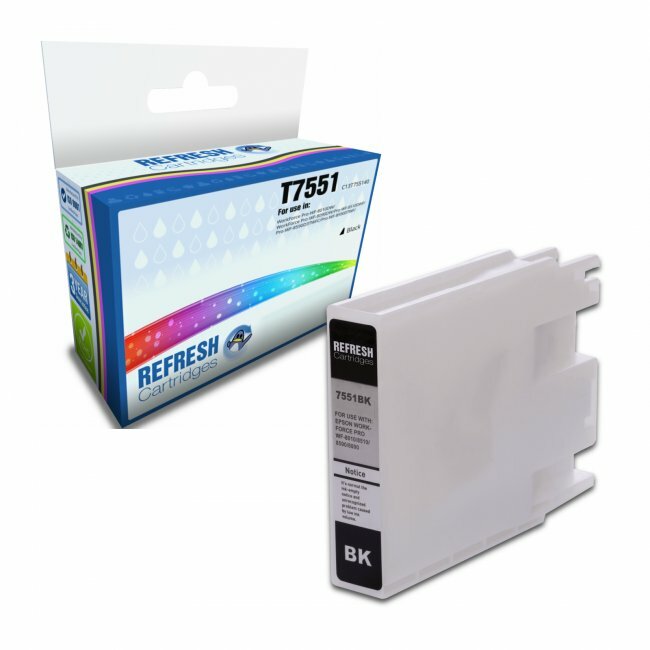 Filled with the finest quality pigment based black ink and featuring many of our manufacturers own patents, the compatible Epson T7551 is a great alternative for both photos and everyday paperwork. The pigment based black ink does not offer the advanced properties of the Epson DURABrite Pro ink, but still gives an estimated 5,000 prints.